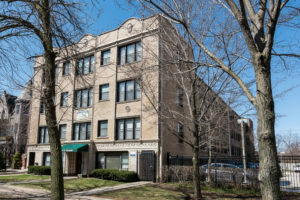 Nautilus Investment has purchased a 64-unit vintage multifamily property in Chicago’s Hyde Park neighborhood, near the University of Chicago and Museum of Science and Industry. Interra Realty’s Managing Partner Ted Stratman, Senior Managing Partner Joe Smazal and Director Jeremy Morton represented both parties in the $6 million deal. Part of the financing was obtained through the Opportunity Investment Fund, set up by nonprofit lender Community Investment Corp. and Preservation Compact to preserve affordable housing.